“My dream has become a nightmare,” Martin Luther King said in 1967, as a government he’d hoped could end racism and poverty instead escalated towards genocide in Vietnam. Protesters in America would need to flirt with guerilla warfare before that particular nightmare ended ; but what gave Dr. King the courage to dream in the first place? 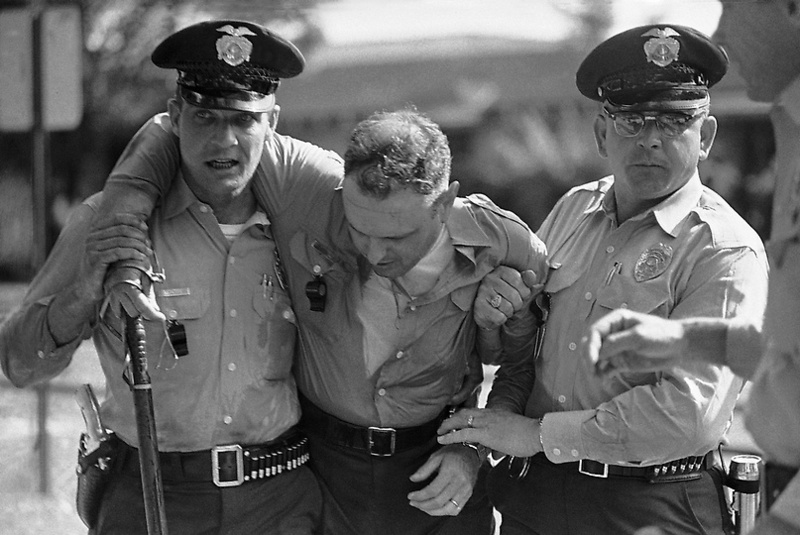 Was it simply The Beloved Community, The Power of Nonviolence, and the Openness of American Liberalism like our schoolteachers—and pacifist NGO trainers—told us? Or was all of this mixed with stronger medicine? This week the left goes through its annual ritual of discussing the “forgotten radicalism” of Dr. King; but it’s time we engaged with the deeper radicalism of the overall struggle which made the man. One of these radical aspects was the movement’s willingness (from an early stage) to employ diversity of tactics , including self-defense and disruptive rebellion, without which it would have been strangled in its cradle by the twin threats of right-wing terror and liberal complacency. “[Dr. King’s philosophy] didn’t accomplish what it should have because the white establishment would not accept his philosophy of nonviolence and respond to it positively”. 1. In their book Black Against Empire: The History and Politics of the Black Panther Party (University of California Press, 2013), historians Joshua Bloom and Waldo Martin demonstrate that the specter of domestic guerilla warfare raised by the Panthers and other militants was a factor in pressuring Richard Nixon to bring the war to a close.